Understanding your WHY directs your path. At least it starts shaping what you require of your path. Then again the concept of life’s purpose, some may say defines your path. So what’s your “why”. As simple a question as that is few can answer. Your why is not how much money you wish to make. 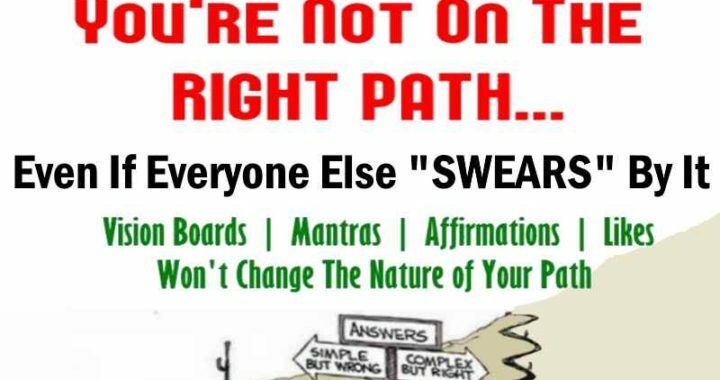 though you can have a right and wrong path for making your money… It is not whether you choose to do something as a hobby or as a business, in a simpler since the “right path” may be the technique, website, vacation plan your choose. It may be the person we decide collectively to lead. Your Path is your choices. FYI _ I consider a “why” to be the change you hope to see in the world at the end of what you execute… it is an Impact valuation of your efforts!